Wish You Were Here is the ninth studio album by the English progressive rock group Pink Floyd, released in September 1975. It explores themes of absence, the music business and former band-mate Syd Barrett's mental decline. Inspired by material the band composed while performing across Europe, Wish You Were Here was recorded in numerous sessions at London's Abbey Road Studios. Although some of these sessions were problematic, it was lead writer Roger Waters' idea to split the centrepiece track "Shine On You Crazy Diamond" in two and join each half with three new compositions. "Shine On" was a tribute to Barrett, who, coincidentally, made an impromptu visit to the studio while it was being recorded. As with their previous album, The Dark Side of the Moon, the band made use of studio effects and synthesisers. Roy Harper provided the lead vocals on "Have a Cigar". The album's packaging, designed by Storm Thorgerson, featured an opaque black sleeve which hid the album artwork. Wish You Were Here was an instant success and record company EMI was unable to print enough copies to satisfy demand. Although it initially received mixed reviews, the album has since been acclaimed by critics and appears on Rolling Stone magazine's list of the "500 Greatest Albums of All Time". 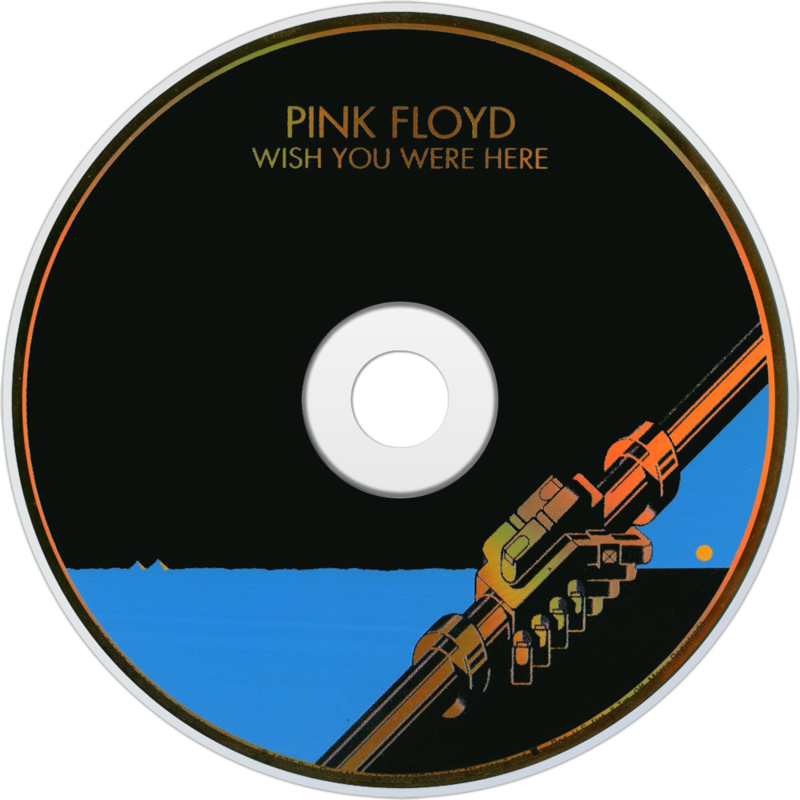 Band members Richard Wright and David Gilmour have each declared Wish You Were Here their favourite Pink Floyd album. As the follow-up to the Floyd’s iconic, record-breaking 1973 concept album The Dark Side Of The Moon, this album is often unfairly overlooked. With the benefit of hindsight, Wish You Were Here has the same faultless pacing and sequencing of its predecessor, but a more coherent musical narrative, structure and tone, as well as greater lyrical sophistication. Here, the ‘concept’ is more down-to-earth, since much of the record is an extended tribute to the late Syd Barrett ­ the genius behind their early works, who flew too high and burned too bright, becoming one of rock’s most infamous drug casualties before Pink Floyd emerged from London¹s psychedelic underground scene to become one of the biggest success stories of the 1970s. It’s also the last great album by a band that would produce something as adolescently puerile as The Wall by the end of that decade. Barrett is the subject of the epic “Shine On You Crazy Diamond, parts One and Two” of which take up more than half the playing time and bookend just three other shorter tracks. Despite some questionable keyboard tones from Richard Wright, the majestically unhurried instrumental intro is a triumph of suspense. It¹s nearly nine minutes before Roger Waters starts singing and the effect is startling, as are the words: ‘Remember when you were young?/ You shone like the sun / Shine On You Crazy Diamond!/ Now there’s a look in your eye / Like black holes in the sky’. It’s debatable whether the ‘iPod generation’ will get all of the eerie, almost visual sound detail in the more melodramatic “Welcome To The Machine”, which presages some of the pomp of their later work. Guest vocalist Roy Harper is a gritty presence on the music industry-bating “Have A Cigar” and the breathless title track finds Waters’ lyrics at their most soul searching. Some may baulk at Dave Gilmour’s long, bluesy guitar workouts, which form the backbone of “Shine On You Crazy Diamond” and crop up throughout the album. Hey, these were the dying days of prog. rock. Punk was just around the corner and it’s easy to see why, but mid-seventies post-psychedelic angst seldom sounded so chilled.